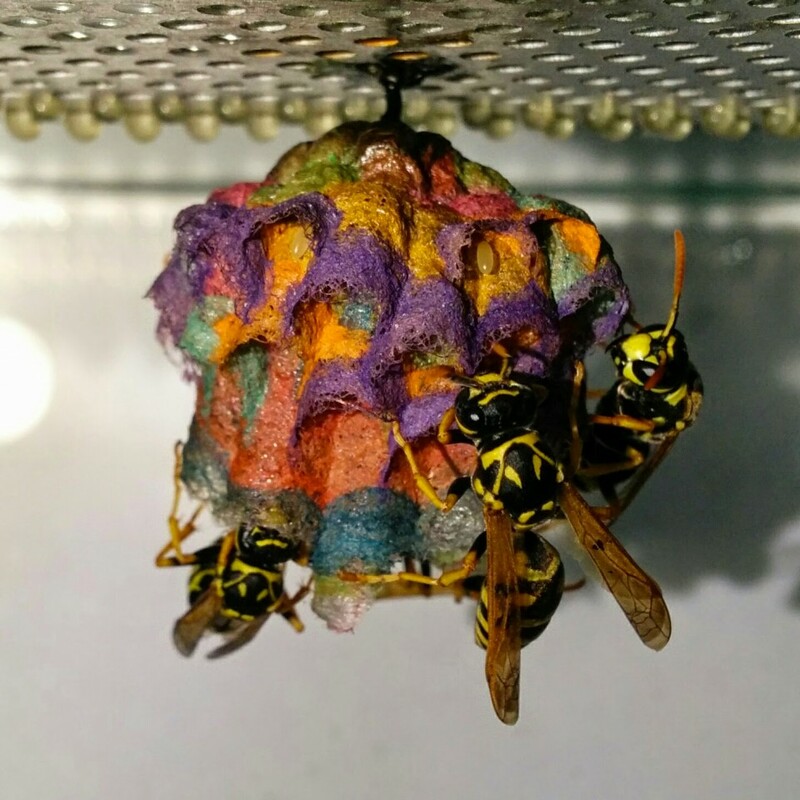 Worker wasps build with the materials available in their environment, including different hues and shades of paper, which can lead to radical rainbow homes when properly apportioned. 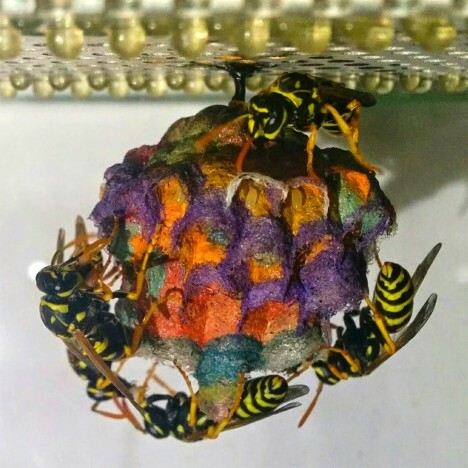 Biology student Mattia Menchetti began giving a group of European paper wasps a variety of colored papers in a specific sequence in order to facilitate their creation of colorful nests. 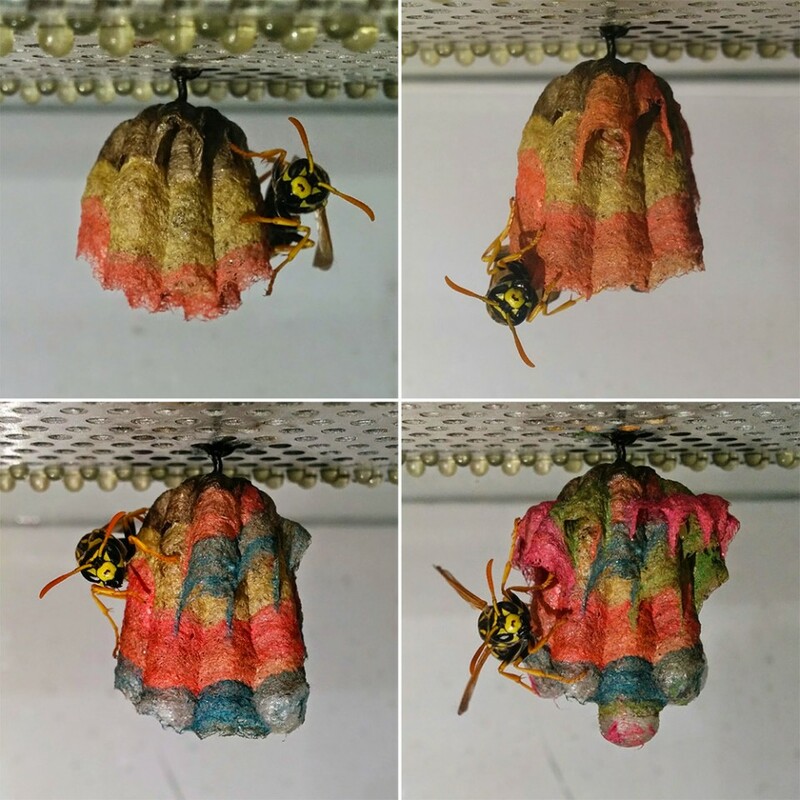 The effect is quite compelling, but wasps are not the only creatures that can take on colors from their surroundings and incorporate them – bees and ants have been known to as well. In one instance, an M&M production plant in France was found to be responsible for changing the color of honey created by a local bee hive. Apparently, the honey tasted fine, but of course, putting such oddly colorful honey on the market is a tough sell. 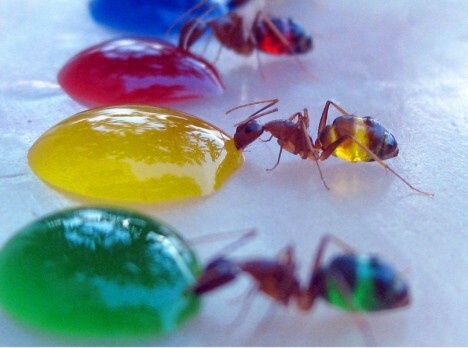 In another instance, we can see the effects of giving colored sugary water to translucent ants, whose bodies then take on the spectrum of looks found in their drinks. 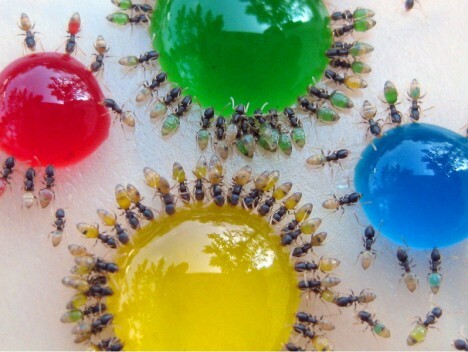 In this case, a scientist named Mohamed Babu from Mysore, India shot a series of photos of the colony consuming this liquid sugar water (via Colossal).